Comment period closes on March 27. Go to www.regulations.gov and search for document FWS–HQ–ES–2013–0073 to find link for submitting your own comments. 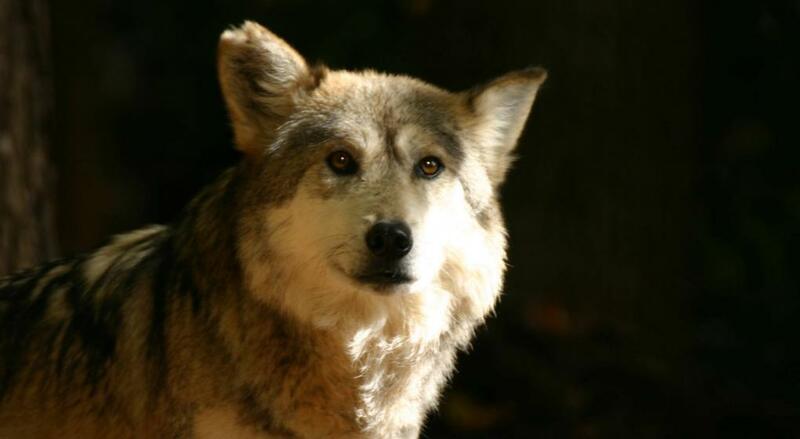 The Rewilding Institute (TRI) appreciates the opportunity to comment on: Endangered and Threatened Wildlife and Plants; Removing the Gray Wolf (Canis lupus) From the List of Endangered and Threatened Wildlife and Maintaining Protections for the Mexican Wolf (Canis lupus baileyi) by Listing It as Endangered and the peer review of that document. ACTION: Proposed rule; notice of availability and reopening of comment period. These comments have been prepared by TRI’s Carnivore Conservation Biologist, David R. Parsons. Mr. Parsons served as the U.S. Fish and Wildlife Service’s (FWS) first Mexican Wolf Recovery Coordinator from 1990-1999 and was the primary author of the original rule that established a Nonessential Experimental Population of the Mexican Gray Wolf in Arizona and New Mexico. Mr. Parsons has continued to follow the progress of the Mexican wolf recovery program from his retirement from FWS in 1999 to the present day. Mr. Parsons holds B.S. and M.S. degrees in Wildlife Biology, served as a career wildlife biologist for FWS for 24 years, and has lectured nationally and internationally on wolf biology, ecology, and conservation. We remain concerned about ongoing and potential further delays by the FWS in advancing the conservation and recovery of the critically endangered Mexican gray wolf (Canis lupus baileyi). The FWS has acknowledged that at even the currently authorized population objective of 100 wolves in the Blue Range Wolf Recovery Area (BRWRA), Mexican wolves will remain in danger of extinction. At a most recent population estimate of only 83 wolves with deleterious levels of inbreeding, Mexican wolves need aggressive recovery actions immediately. Currently, the proposal to list Canis lupus baileyi as an endangered subspecies is an integral part of the proposal to remove all other presently listed gray wolves (Canis lupus) within the United States from the list of endangered species, and thusly end their protection under the Endangered Species Act (ESA). A FWS-initiated peer review has concluded that the science that the FWS relied upon to support their proposal to delist gray wolves is not the best available science. This makes the proposed delisting of gray wolves in violation of the ESA mandate that decisions made pursuant to the ESA be based on the best available science. Given that FWS has reissued for a second public review the exact same proposal found by the peer reviewers to be scientifically deficient, it is not clear if FWS plans to make any substantive changes to the proposed delisting rule before issuing the final rule. We are assuming here that FWS will either (1) issue the final delisting rule without substantively addressing the scientific deficiencies found by the peer reviewers, or (2) further delay the release of a final rule to allow FWS biologists time to address the scientific deficiencies found by the peer reviewers. Either scenario will have adverse consequences for the critically endangered Mexican gray wolf as we explain below. Disagreement over the extent of the Mexican wolf’s historic range is best addressed by the Mexican Wolf Recovery Team using the best available science and settled in a final Mexican Wolf Recovery Plan, not in this proposed rule. The work of the Mexican Wolf Recovery Team, suspended since November 2011, needs to be resumed immediately. While not procedurally necessary, it appears that FWS is waiting for the promulgation of the final rule placing Mexican wolves on the endangered species list before resuming work of the recovery team. History has shown that proposals by the FWS to remove gray wolves from the endangered species list have always been litigated, often delaying or even reversing actions proposed by the FWS. And history has shown that the FWS tends to suspend legitimate recovery actions for Mexican wolves in the face of litigation over proposals related to other gray wolves. Furthermore, there is no scientific disagreement over the FWS’s proposal to list Canis lupus baileyi as an endangered subspecies of the gray wolf. And Mexican wolves are in critical need of recovery actions that are hampered by current regulations and the lack of a current recovery plan based on the best available science (see comments submitted by TRI on the draft proposed rule for Mexican wolves dated 10/24/2013 and incorporated in their entirety here as Appendix A of these comments). Therefore, to enhance the likelihood of survival and recovery of Mexican wolves, it follows that FWS must decouple the proposal to list Canis lupus baileyi from the proposal to delist gray wolves elsewhere. No legitimate purpose is served by continuing link these two distinct actions into one combined process that is destined to be litigated solely over the gray wolf delisting part of the proposal. As for the proposal to delist Canis lupus, TRI recommends that the FWS honor the independent peer review process and base its final decision on the best available science. As for the proposal to list Canis lupus baileyi TRI recommends that FWS issue an expedited final rule completing this action separate from the gray wolf delisting proposal. And we further recommend that the existing Mexican Wolf Recovery Team be reactivated immediately with a goal of completing a science-based recovery plan as soon as possible. As always, The Rewilding Institute appreciates this opportunity to comment on these proposals.